Life with 3 little kids is chaos most of the time. 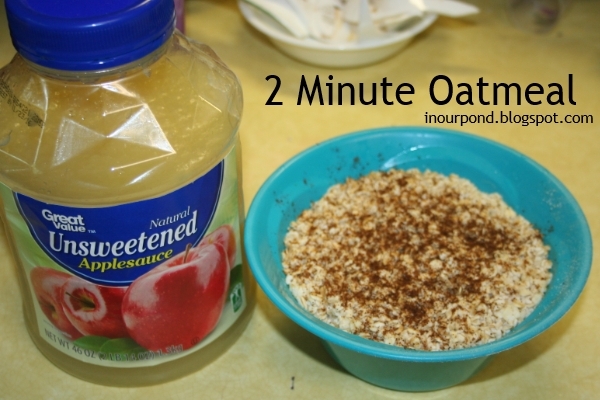 Here's a recipe to use when you just need to get them fed (and it's my kids favorite). 1) Turn on the hot water in the kitchen sink. 7) Stir it all together. Add spoons and serve. I often keep it all in one bowl and feed it to the toddlers while they're in the bathtub- baby bird style. If they eat well, you can follow up their oatmeal with a popsicle.